While I was flipping through one of my grandmother’s old English textbooks (SENSE AND FEELING) I found it contained a short story written by Will F. Jenkins. You may, as I did, instantly recognize it as a pen name of Murray Leinster (even if, in actuality, it’s the other way around). After running the title and the names by my copyright researching buddy, I was pleased to discover it was in the PUBLIC DOMAIN! 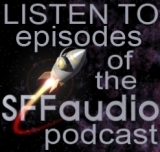 I then passed it on to another of my creative friends who turned it into an episode of her podcast. Julie Davis, the narrator, says she was planning on saving it for Halloween. 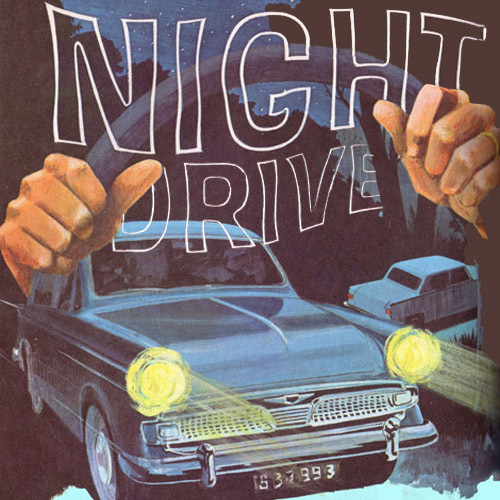 I can see exactly why she was planning that, but it’s probably the perfect listening for any Autumn drive … at night …. in the country ….. with the doors locked …… very tightly. In which a young woman at night is faced with a life-or-death choice. 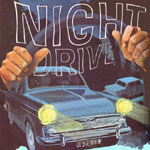 Night Drive by Will F. Jenkins, was first published in the March 1950 issue of Today’s Woman magazine. In 1962 it was later collected in the Belmont Books paperback called Twisted, (edited by Groff Conklin). do u know what is the protagonist and antagonist of this story. Farah, the protagonist is Madge, the driver. Which textbook did your teacher get this story from? Dear Jesse, could you please tell me who is the illustrator of those three images of this story?